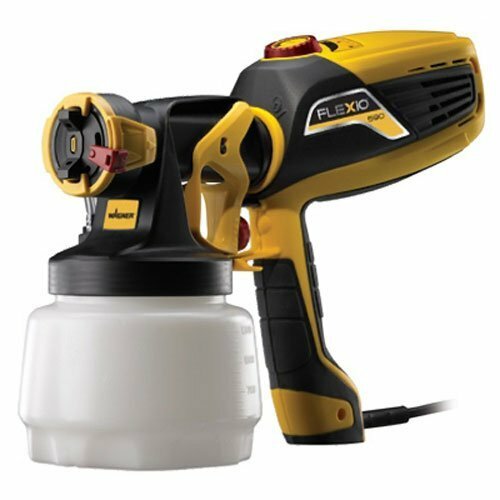 This paint sprayer compact and lightweight design is ideal for hard to reach areas, also comes with variable air pressure control to less overspray small or thin materials. Comes with different metal cups and flow triggers for width and fine finish applications. The control spray Max can be used on decks, interior wood trim or kitchen cabinets for professional results. Grade metal cup for smaller fine finish applications. Variable flow triggers dials in spray patter width from 1 inch to 10 inch. Thinner materials such as lacquers and stains. 3 spray patterns so you chose the best one for your job. Variable flow control to cover large surfaces of work in detail. Easy to use due to easy and fast assamble explained in the user’s guide. Parts come off allowing an easier way to clean it through. Light and compact so it can be moved quickly around the area of work. Not good to work with latex. Latex needs to be thinned out before use to be able to flow throughly. Shuts off and have to wait to for it several minutes to turn on again and be functionable. Materials are all made of plastic, which allows room to break down easily. Doesn’t bring all the features as expected. lacquers, etc. It features a two stage indoor/outdoor rated air turbine for a continuous flow of equipment which allows a professional finish in any indoor/outdoor project. Replaceable filters to keep particles of paint from sticking to the item. 1-1/2-quart cup for large projects. Comes with device patters: vertical, horizontal fan and round. Reduce work time by half. The lock-n-go technology allows you a quick material change when needed. The sprayer design allows good precision in the located area. The patterns allow good coverage of any area of work, either vertical, horizontal or round. Not good to work with stain. Stain tends to stick to the tool which causes a slow flow of material. A little bit heavy when paint is added to the weight of the tool. There are no replacement parts available if the tool breaks down. 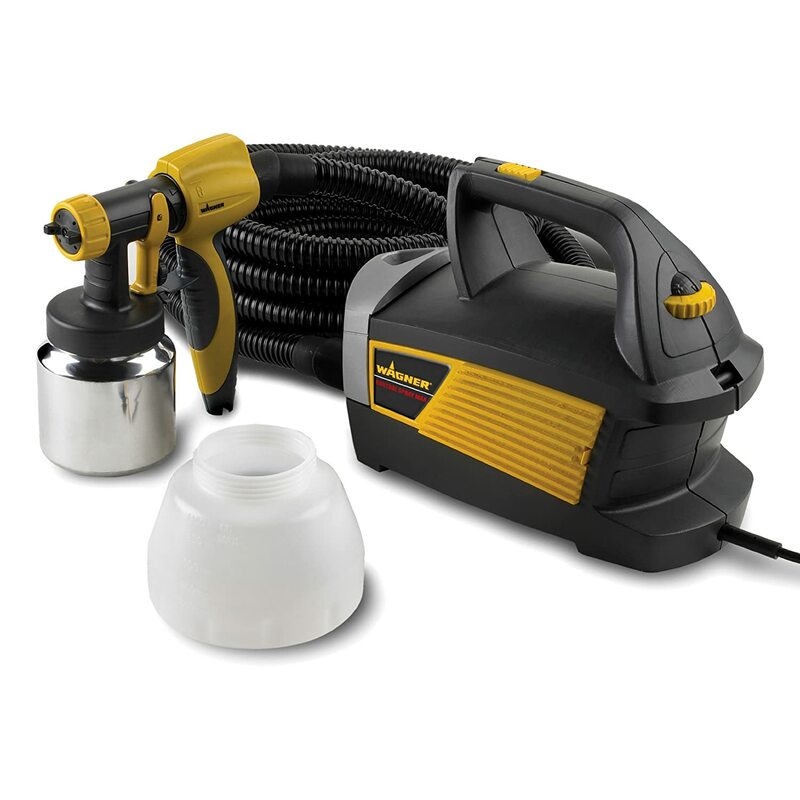 This paint sprayer is a light duty airless sprayer designed for housework. 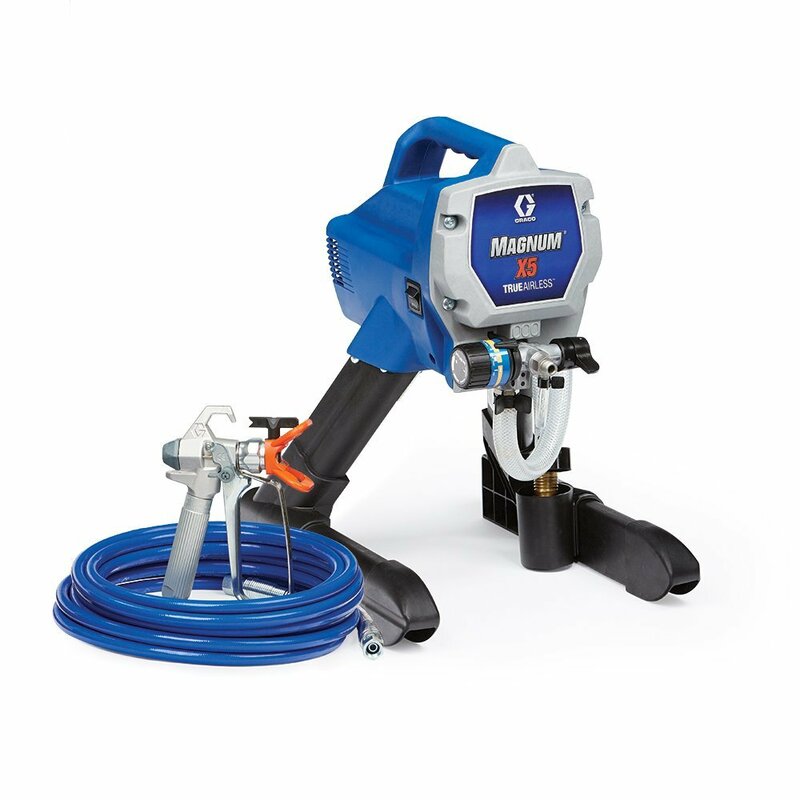 It’s a very practical tool that features a power flush cleaning adapter that fits standard garden hose for faster clean up. It’s a very easy tool to use for any homework repairs to use periodically around the house. Comes with an operational DVD and quick start-up guide. Power Flush cleaning adapter attaches to garden hose for easier cleaning. Durable stand mount sprayer is compact, lightweight and easy to carry with the one hand carrying handle. Easy to set up. The DVD start to guide shows step by step the assembly method. Produces great results with minimal effort. This is because it sprays more material in a faster amount of time. 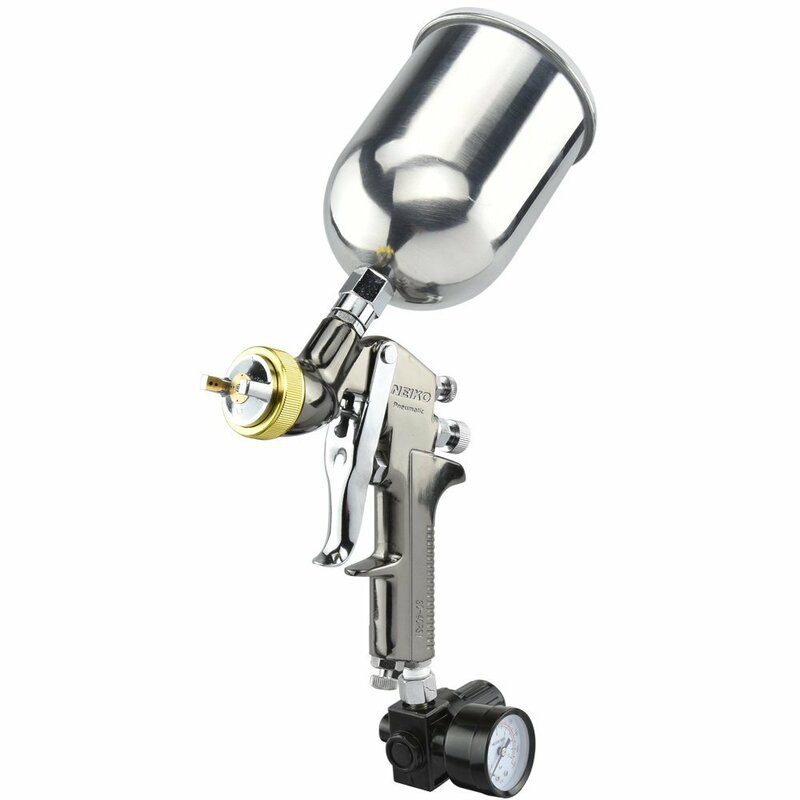 Paint gun is lightweight and easy to use, allowing adjustable pressure control to the spray. The hose is of poor quality. Tends to break down easily or getting holes on the sides. Pumping system shuts down. The paint particles tend to stick to the system causing it not to work. Have to clean it midway of the job. Because of the paint particles, to avoid the pumping system to shut down, it has to be cleaned half way of using it. This lightweight siphon gun serves as a multi-purpose sprayer for any material a woodworker might need. 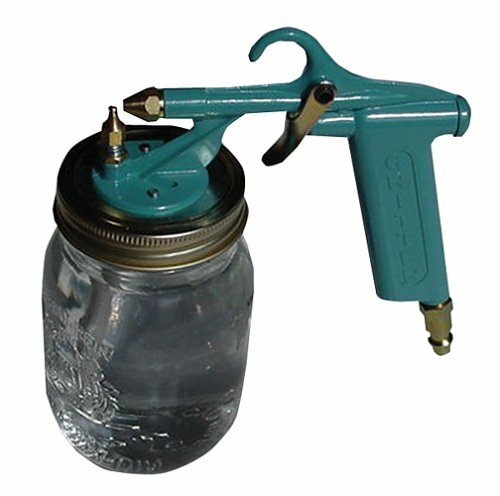 The Critter easily attaches and detaches from mason jars, making for a quick and simple transition between mediums. 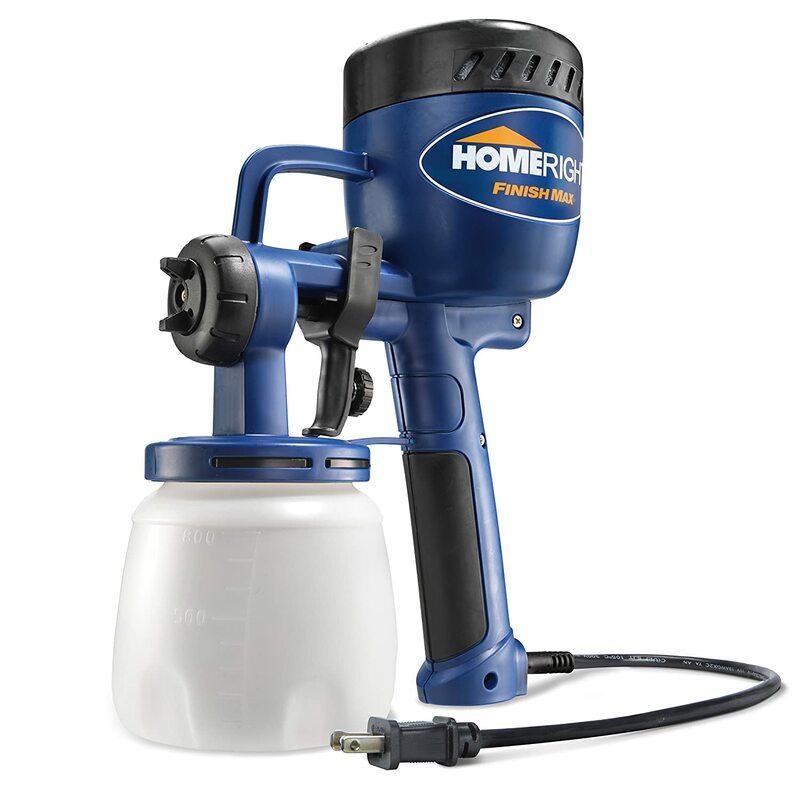 This spray gun works with a tankless compressor as small as ¾ hp, making the Critter 118SG Siphon Gun one of the best deals on the market! With a consistent rating of 4 out of 5 stars, the Neiko® 31215A HVLP Gravity Feed Air Spray Gun is a favorite among spray guns. This gun is easy to use with high quality results. 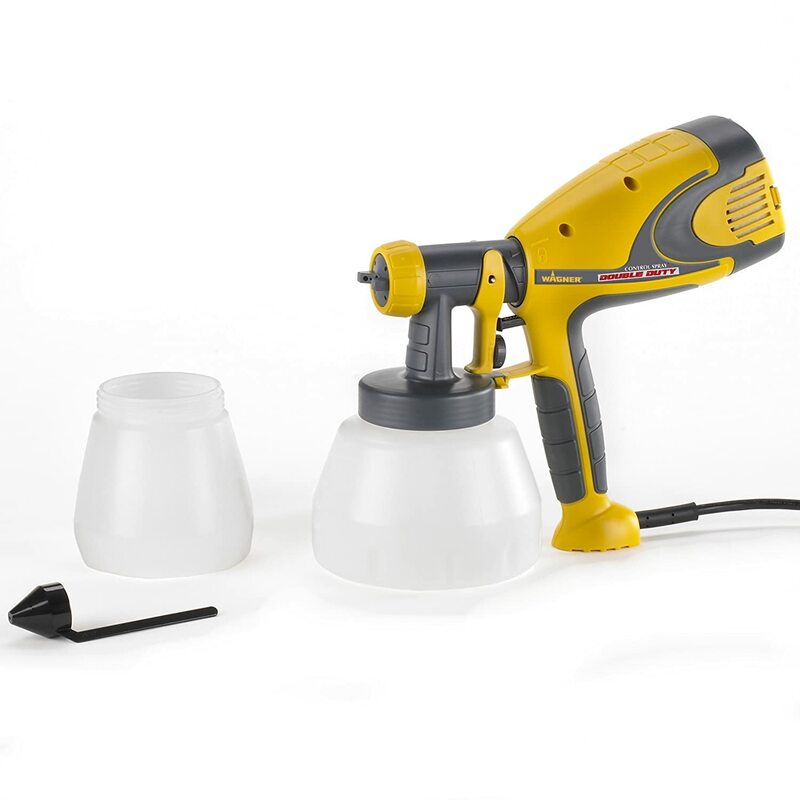 With a cost of only $37.94, the HVLP Gravity Feed Air Spray Gun is an unbeatable deal!